Discover those involved in turning great ideas into smart, sustainable and inclusive rural development. Find out how rural entrepreneurship is being supported around Europehttps://enrd.ec.europa.eu/sites/enrd/files/enrd-static. 18 June 2014: All presentations, summary reports, visual and digital stories from the ENRD event "Connecting rural Europe – Learning from the past, preparing for the future” can be found here. 16 June 2014: See what’s new under the NRN Thematic Cluster on CLLD. 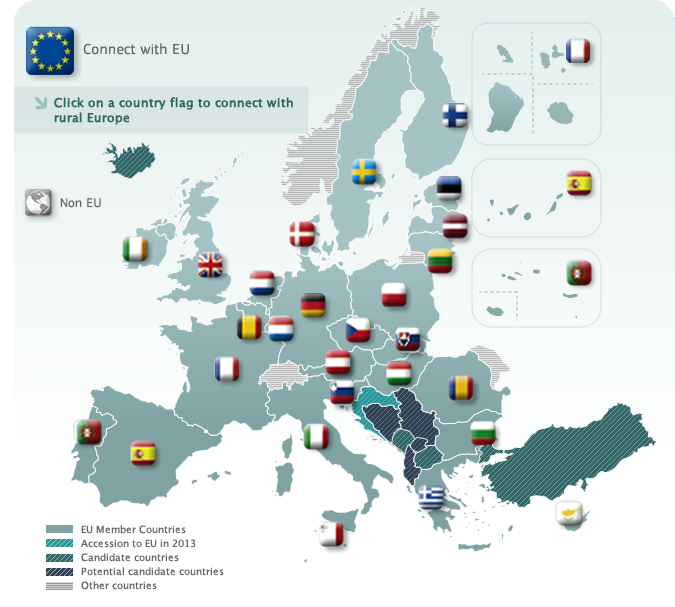 5 June 2014: The issue 17 of the EU Rural Review on Family Farming is now available in 7 languages! 3 June 2014: Check out the new resources and guidance documents on the Rural Development Gateway 2014-2020! 28 May 2014: The latest edition of the ENRD Magazine has just been published and it’s packed with fresh ideas flourishing throughout the rural development networkhttps://enrd.ec.europa.eu/sites/enrd/files/enrd-static.